The team at Liz Anders & Associates consults with private clients regarding new acquisitions and divestitures. Liz Anders & Associates guides both individuals new to the art world and seasoned collectors in making purchases and sales of fine art. We manage every detail on behalf of our clients while interacting with dealers, artists, auction houses, art handlers, framers, shippers and conservators. Depending on the budget, we explore the local, national and global art market for a single work of art or for building a comprehensive collection. Liz Anders & Associates provides independent and objective valuations of fine art including paintings, works on paper, photography and sculpture. An appraisal is an opinion of value based upon research of comparable objects within the most relevant market. At the beginning of the appraisal process, the property is physically examined, assessed and documented. After the documentation process, the property is thoroughly researched and a formal, written appraisal report is produced. Liz Anders & Associates art appraisals are written in accordance with the Uniform Standards of Professional Appraisal Practice (USPAP) as set forth by the Appraisal Foundation, which is recognized as the source for appraisal standards and qualifications. Liz Anders is a candidate member of the American Society of Appraisers (ASA) with a speciality in Fine Art and her appraisal reports meet all criteria for IRS regulations. Liz Anders & Associates ensures the final document is an accurate, credible, confidential and comprehensive appraisal report. Our appraisal fees for all services are based on an hourly rate or on a project fee basis, never on a percentage of the appraised value. Please contact us to discuss your appraisal questions and needs. Principal Liz Anders advises individuals on fine art acquisitions and divestitures and prepares fine art appraisals for insurance, estate tax, estate planning and charitable donation purposes. 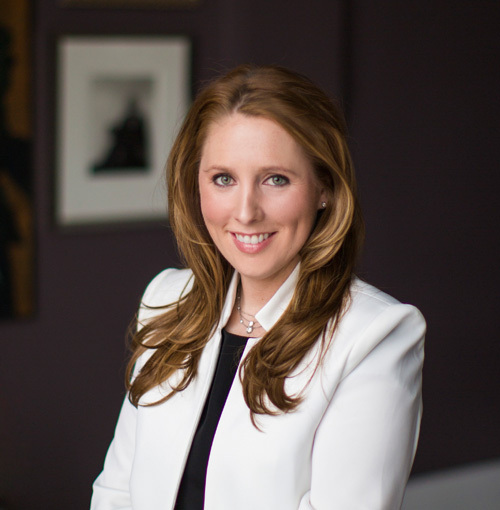 Prior to founding Liz Anders & Associates in 2013, Liz was a Senior Associate at an art advisory firm in Houston for seven years where she managed private and corporate collections, curated numerous exhibitions and conducted fine art appraisals. She worked in the British and Irish specialist department at Christie’s in New York prior to becoming an advisor and appraiser. She holds a B.A. in Art History from the University of Texas at Austin and a M.A. in Modern and Contemporary Art, Connoisseurship and the History of the Art Market from Christie’s Education, New York. Liz completed the Certificate Program of Appraisal Studies in Fine Arts from the Rhode Island School of Design, is a candidate member of the American Society of Appraisers and conducts her appraisals in accordance with the Uniform Standards of Professional Appraisal Practice (USPAP). She is currently serving on the Board of Directors and Exhibitions Committee at the Houston Center for Photography, serves on the Board of the American Society of Appraisers (ASA) Houston Chapter and is Vice-Chair of the Menil Contemporaries Steering Committee. Let’s talk about your art related goals. Contact the team at Liz Anders & Associates to set up a consultation for art advisory or an art appraisal.